So our house we have 2 kids, a dog, my husband and myself and we are living on a building site. It’s dusty, there are bits of cut up paper everywhere from my daughters “crafting”, dog hair as she moults into her summer coat and then the mud from our yet to be finished garden. And it drives me crazy…. I’m not a perfectionist when it comes to my home, I don’t mind some clutter and untidiness but I do like the place to be clean. Every day when we first moved in I would have the steam mop out, the vacuum cleaner going and it would look great for all of about a day. But…. It all changed recently – I even got my husband on board with a daily clean and it’s giving me back time. What is it? Well, it’s a robot! Yes, it’s official I’m living the Jetson Life. iRobot is what it’s called and it’s a Roomba 980 it vacuums automatically without me having to touch it and we were provided with one to review and test thoroughly at home. So as I’m sitting here writing this post my little friend is busy vacuuming the downstairs. When it returns to home I’ll take it upstairs and it will do there too. 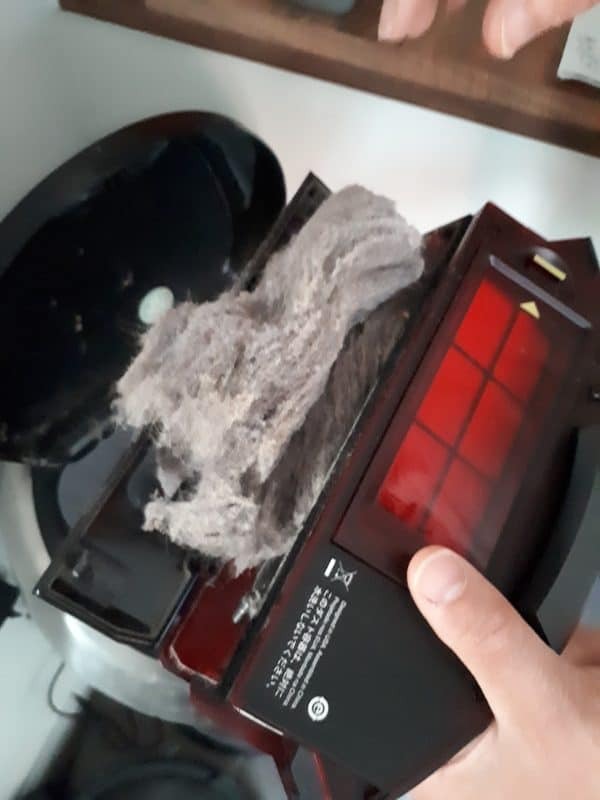 So I’m sure you have lots of questions I did and I’m hoping that I can answer just a few of them as well as introduce you to the Roomba 980 that we have nicknamed Parkeeper (a play on our surname). How do I stop it falling down stairs? Yes, that was my biggest question – we have mainly carpet upstairs and with a daughter with long hair, a dog and that dust from the building site and garden it means that it needs daily vacuuming at the moment. Hopefully, when the building stops we can reduce that but it’s upstairs – and we don’t have a little one so no stair gate to prevent it falling down the stairs so how can I let it do its work without breaking it right. See it just goes along the edge knowing it’s the edge and not taking a nose dive off it at all….. That means I feel secure in the knowledge that I can work downstairs and leave it running vacuuming up stairs with no problems. It is round – so how does it get edges, into corners? I don’t know about your house but in ours, the dirtiest bits are always around the edges it’s like the movement of kids running around pushes it all out to the sides. Being round I really couldn’t figure how it could effectively get to those areas. So underneath there is a brush – that brush well 3 brushes spins constantly on the side and it moves the dust, dirt and bits of paper into the centre of the Roomba so that it gets picked up. How can I stop it from going into a room? My kids are messy – their rooms are a mess as they play a lot in them. They have toys everywhere and although once a week they do a tidy and clean on a day to day basis I don’t mind as chances are they are in the middle of a game and will come back to it in the morning or after school. But with Lego, Playmobil, bits of games and toys everywhere the Roomba would have a field day and I would be spending the next month picking it out of the rubbish bin. So how can I stop it from going somewhere? Yes, I could close the doors – but in the heat of summer, I like to have the windows open and the doors so that there is an air flow. Well the Roomba comes with blockers – you place them where you want and they stop it from going past it. So in front of a doorway – across a hallway etc…. Genius. Just have to remember to put them in place before starting it. What happens if it runs out of power? So it’s got batteries that are charged – it goes off around the rooms. I think there is around a 120 minutes of power we haven’t tested that out though so I’m just going on the information that I was given. Well here’s the cool thing it goes back to base if it needs to remembers what it was doing and then comes back out and finishes off the job. How Good is it REALLY! It gets to places that I haven’t cleaned since we moved in – yes even under the bed!!! Honest housekeeping – this was after the 2nd time used down stairs in the house. Each time the bin is nearly full. 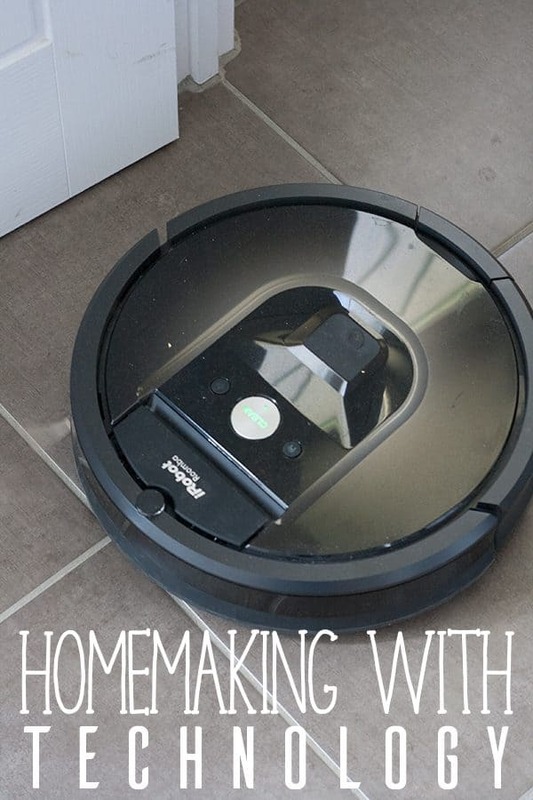 It does multi surfaces – we have carpets, tile and laminate flooring in the house and the iRobot goes from one to the other boosting suction on the carpets to get into the pile and reducing unless needed on the tile and laminate. Did I mention IT DOES IT FOR ME – now I want a clean house but the amount of time it takes is something that I can never get back and use more productively? This for me is a huge selling point, I want to spend that time with the family if they are at home or working so that I don’t have to work when they are at home. You can find out more about the iRobot Roomba series and the Roomba 980 as well as other products from the iRobot range on their website and help take your own home into the Robot Age.